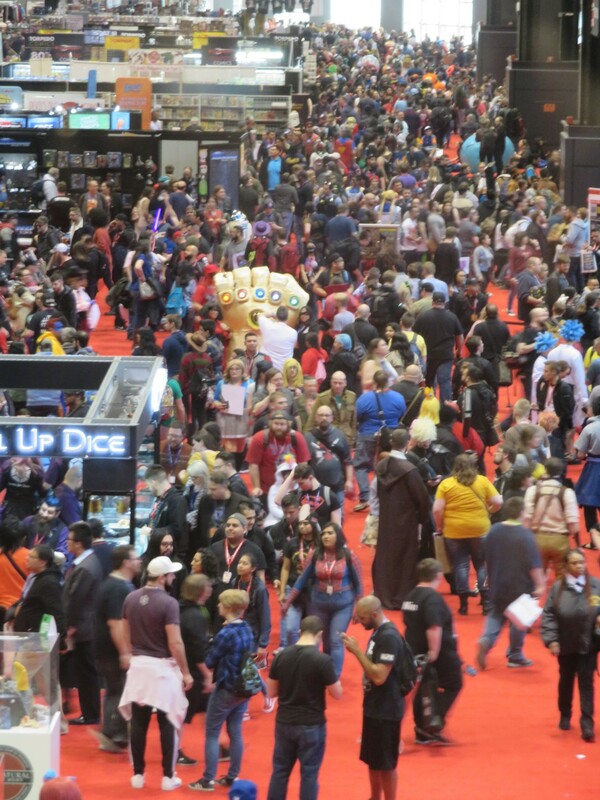 C2E2 2019 Photos, Part 7 of 8: Who Else We Met, What Else We Did « Midlife Crisis Crossover! Once again my wife brakes for Superman. …and found activities together as a team. Given that C2E2 is the most comics-centered of all the giant cons we attend each year, its activities often appeal more to me than to her. But we do try to take turns being each other’s plus-one throughout our various cons and travels, so eventually it balances out. The Friday morning drive from Indianapolis to Chicago was surprisingly free of incident — no massive road construction projects, no traffic accidents, and only minimal delays on the Dan Ryan Expressway, a miracle itself. We dropped off the car in exactly the lot I’d wanted, walked into McCormick Place at 8:30 a.m., and joined the crowd-shaped line awaiting the 10 a.m. exhibit hall opening. Some of us are readier than others. The benevolent Powers That Be saw fit to begin ushering us in at 9:55. No one said “no”. Our first stop was for an errand on behalf of a friend-of-a-friend who dearly hoped we could locate a specific variant comic sold only by a specific retailer from Fresno making their C2E2 debut. Their booth was on the farthest end of the exhibit hall from the entrance, nearly hidden behind a long line of comic investors waiting their turns at the CGC booth. Many were the dudes hoping to have their most valuable comics’ conditions graded by CGC in hopes of reselling them as authenticated objets d^art, which in turn means they can ask for bigger bucks from their buyers. Not my thing, but I wish them well in profiting off our hobby. The Fresno folks were super friendly, had exactly the comic we were looking for, and rewarded us with some free Hi-Chew candies. If only California shops came out here more often. 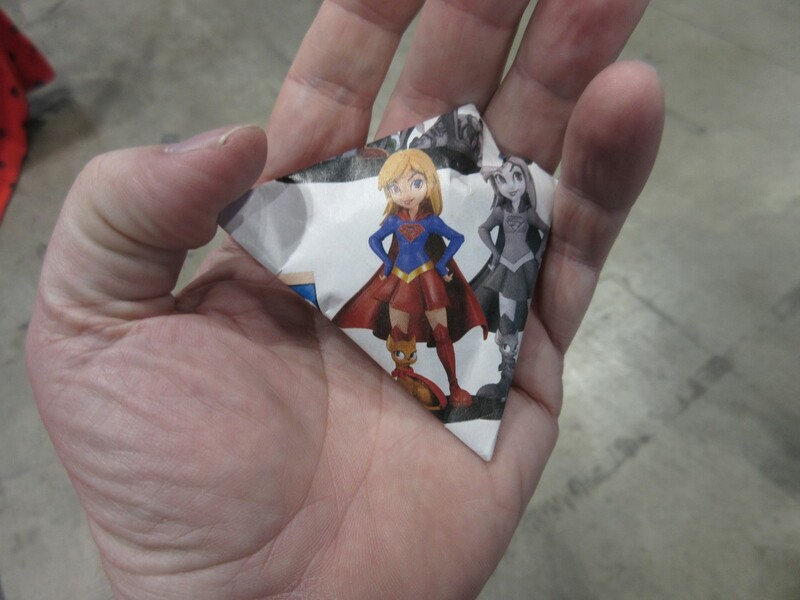 They even wrapped their Hi-Chews in whatever themed paper they could get their hands on. Cute and classy! We shot straight from there to Artists Alley a few rows ahead. One hour later, my bag was full of books and giving me far too much back pain far too soon in this long weekend. Thus at 11 a.m. we made a radical move: we grabbed lunch. I used to make fun of people who made concession stands their first stops at a con, but the truth is we had no major appointments on our Friday schedule, no photo ops or even any actor autographs in mind for that day. We were free to wander the exhibit hall at our leisure, check out dealers or not check them out as we saw fit. As we keep aging, we realize we need to find excuses to sit down more often if we’re to endure the arduous physical experience that is the typical miles-long, con-walking marathon. Value-added plus: none of the concession stands had a line. Value-subtracted minus: dreadful prices for mediocre food. Fourteen bucks for a skimpy pastrami sandwich did not impress me. I’ve made better at home with meat from the Walmart deli. I chose poorly. Max Bever from the Illinois chapter of the ACLU, who hosts a relevant podcast called “Talking Liberties”, which I have to mention for pun value alone. Suzana Flores, a clinical psychologist and author of the upcoming nonfiction book Untamed: The Psychology of Marvel’s Wolverine. She not only dissects the Canadian berserker antihero at length, but at the panel she candidly shared her personal tale of how Wolverine got her through the direst ordeal of her life. Comics and comedy writer Daniel Kibblesmith, about whose talents I’ve previously raved here and here. Mike Strautmanis, a lawyer who worked within President Barack Obama’s adminsitration and is now Vice President of Civic Engagement for the Obama Foundation. Strautmanis detailed the Foundation’s plans to effect social change through the Barack Obama Presidential Center, which, if all goes according to plan, will have its campus built on Chicago’s south side. More than any other panelist, by association alone Strautmanis was treated like the biggest rock star in the room. Actor John Barrowman. You may remember him from such shows as Doctor Who, Torchwood, and TV’s Arrow. He spoke of his own experiences with turning the tables on would-be bullies in his youth and as he got older and better than them. Carrie Goldman, Pop Culture Hero co-founder and author of the book Bullied: What Every Parent, Teacher and Kid Needs to Know About Ending the Cycle of Fear. …and that’s Chase Masterson at the podium. 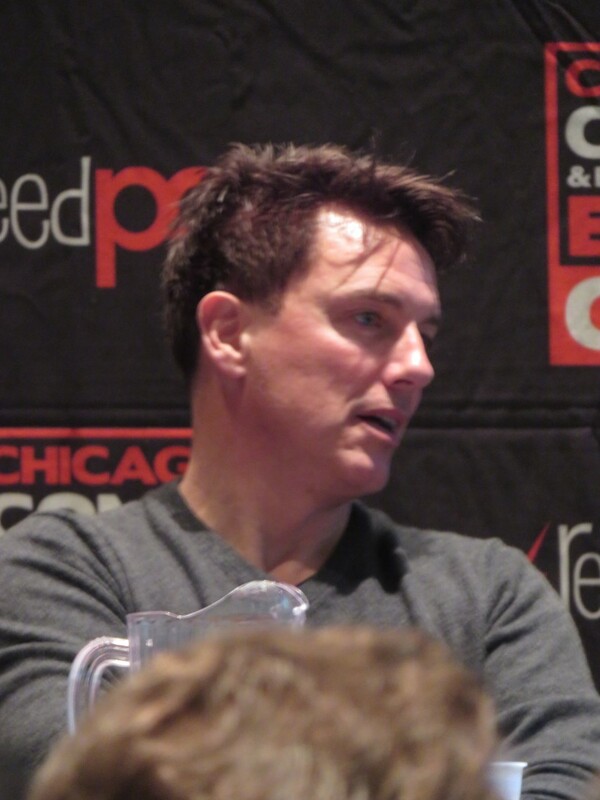 Barrowman was not listed in the program guide and was a pleasant and most welcome surprise guest. His past MCC appearances include Wizard World Chicago 2016 and Motor City Comic Con 2017. Speaking of demolished: sitting down at the panel for an hour helped with our early fatigue onset, but I needed ibuprofen. With Anne shouldering some of my load in her bag, we ventured back to the car, shed a few dozen pounds of reading matter, loaded me up on meds, and returned to the fray, by which I mean walking the exhibit hall, stopping at very few dealers’ booths, picking up freebies from Marvel’s town square, and photographing the occasional cosplayer. We’re the Goldens. This is who we are and what we do. 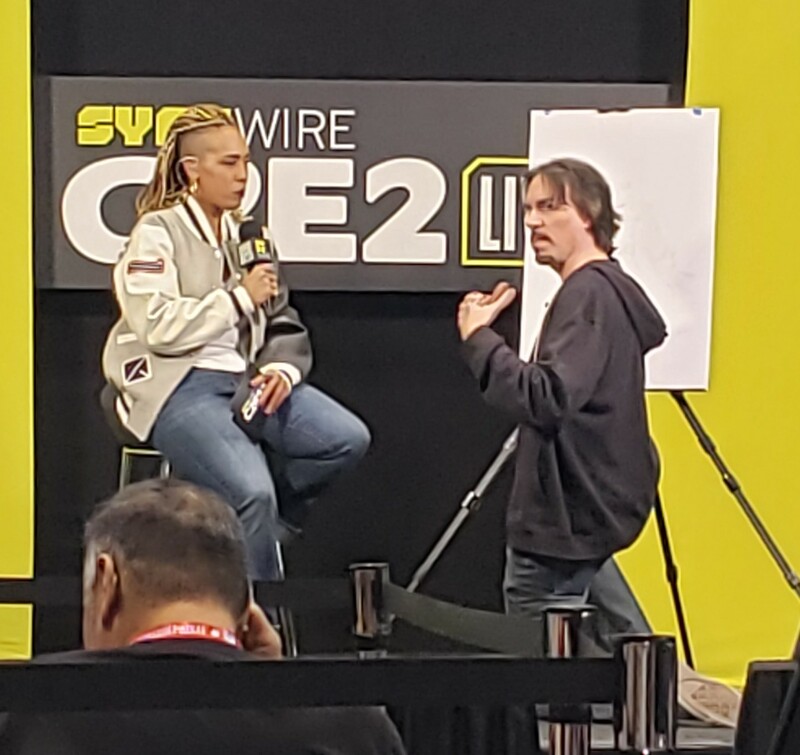 Shortly before 3 p.m. we wandered over to the live stage in the far, far corner of the exhibit hall and caught a few minutes of sketching with Marc Silvestri, co-founder of Image Comics, head of Top Cow Entertainment, and Uncanny X-Men penciler in my teenage years. Officially we were supposed to be watching him draw Wolverine, but he kept answering questions and amiably chatting, and managed only a rough layout before time was up. 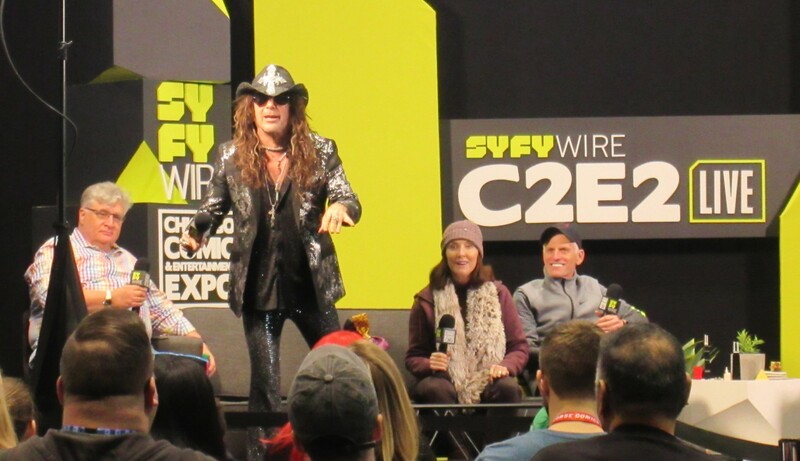 Silvestri with our host, Syfy Wire’s Angélique Roché. We last saw her at Ace Comic Con Midwest in October. Shortly after 3:00 came our next event: an Animaniacs reunion! Four voice actors from the original ’90s animated series were in the house and given far too short a time frame to reminisce and crack us up. They had other get-togethers scheduled Saturday and Sunday, but neither of those worked out for us. We’d met LaMarche and Paulsen before (cf. Indiana Comic Con 2016 and Wizard World Chicago 2018), but this was our first exposure to Harnell and MacNeille. 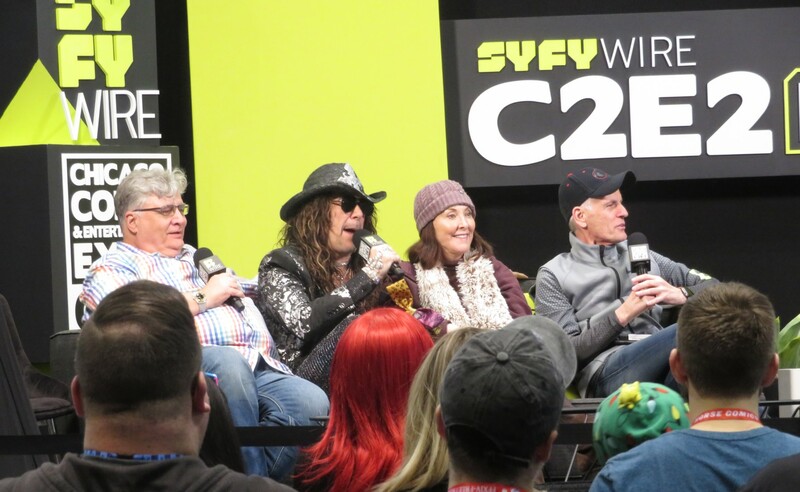 Maurice LaMarche, Jess Harnell, Tress MacNeille, and Rob Paulsen. Harnell was the most hyperactive, Simpsons veteran MacNeille was the best dressed, and LaMarche and Paulsen were Pinky and the Brain. 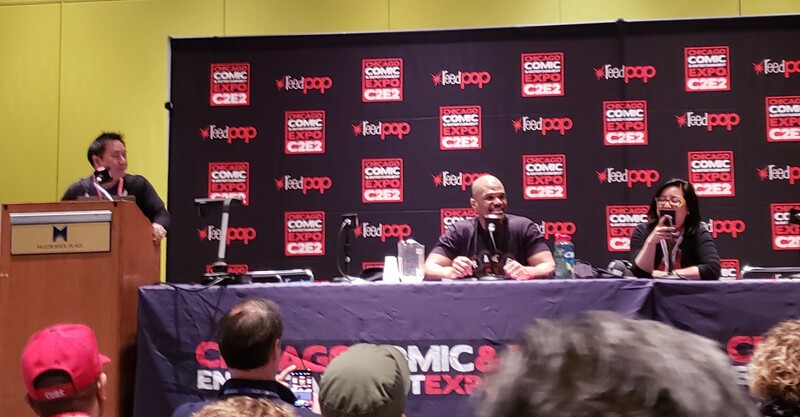 We had grown rather fond of sitting and listening to interesting people, and thereafter made our way to another upstairs panel starring Darryl McDaniel, a.k.a. DMC from Run-DMC, whom I was stunned to meet at C2E2 2017. I cry whenever I have to explain this famous rapper to folks who don’t recognize him. He and his bandmates Run and Jam Master Jay (R.I.P.) were responsible for rap breaking into the mainstream with such hits as “Walk This Way”, “King of Rock”, “My Adidas”, “Tricky”, and the beloved holiday classic “Christmas in Hollis”, a.k.a. Argyle’s theme from Die Hard. And yet sometimes I do still have to explain who he is, which I suppose explains why the room wasn’t packed. This year DMC headlined his own panel about his company Darryl Makes Comics, for which he has big, ambitious, superhero-filled plans in mind. The panel roster included several of his collaborators, but thanks to the Friday crowds only two of them arrived on time. 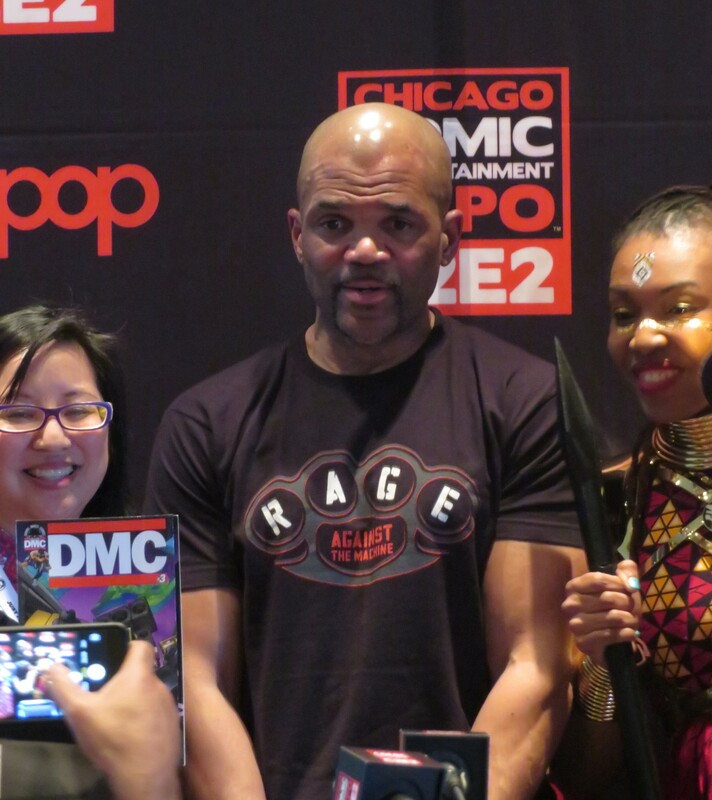 DMC had plenty to say nonetheless about his background as a comics-loving kid growing up in Queens, his future plans, his hopes, and his reluctance for anyone to label their output “hip-hop comics”. He went on for several minutes about that last part, which really bugged him. Our moderator at far left was Ming Chen, costar of AMC’s Comic Book Men. 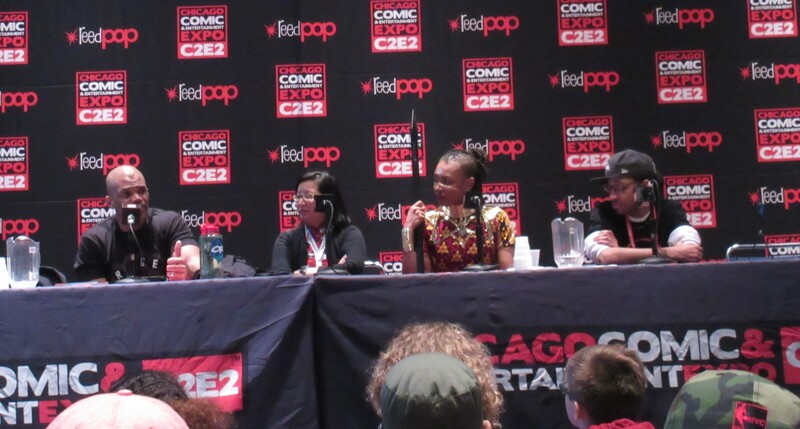 At far right, pro comics writer Amy Chu, whose first appearance on MCC was at Indiana Comic Con 2015, and whom we met at last year’s C2E2. Joining the discussion were returning guest Afua Richardson — see, I wasn’t kidding about that Dora Milaje armor — and Domo Stanton, artist on DC/Vertigo’s House of Whispers. 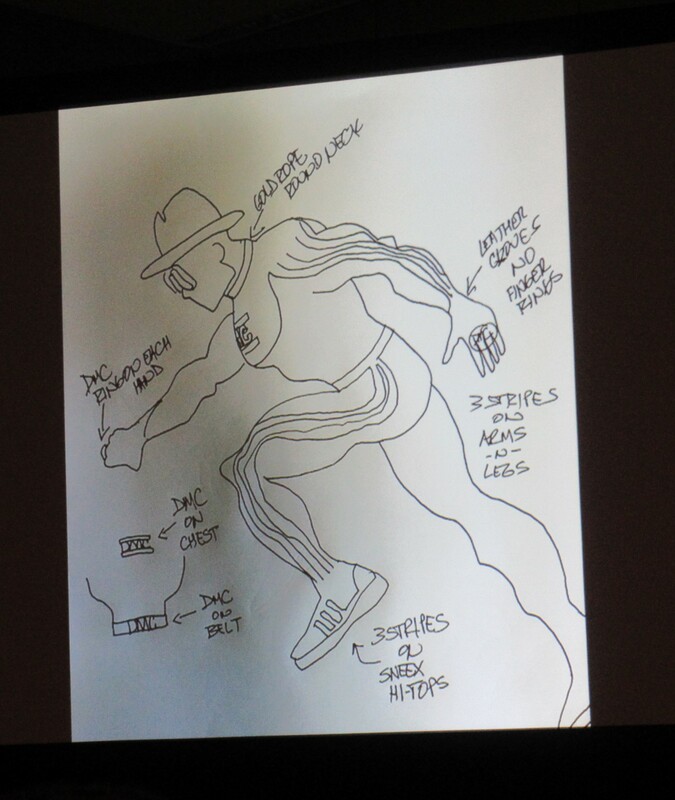 One of three pieces of character concept art we got to see, drawn by DMC himself. As he tells it, he learned how to draw during a childhood of comics reading long before rap ever came into his picture. Chu and Richardson flank DMC during a couple minutes of posing after the panel. We managed to walk a few more rows’ worth of exhibit hall after that before we labeled it To Be Continued and called it a day. …which is for the best because that crowd grew increasingly massive by the minute, even before opening time. By 11 a.m. Lots A and B were both full; by 12:30, all Saturday-only and 3-day badges were sold out. Fans who attempted arrival beyond that had to settle for parking in Soldier Field or worse. Horror stories abounded, including but not limited to a few fans who’d prepaid for McCormick Place parking in advance — not a small expenditure — only to be told there was no room for them. Not cool. By mid-afternoon the exhibit hall aisles were just as congested and impassable in places. Imagine how many folks were only wishing they could snap their fingers and erase half the population just for the elbow room. At 11:00 was our date with destiny, by which I mean our photo op with David Tennant, who was pretty much on time and gifted with a seamless operation. Lining up was easy; moving forward was brisk; photography was on point. My only complaint is I wish all photo-op companies included digital downloads free with every purchase. 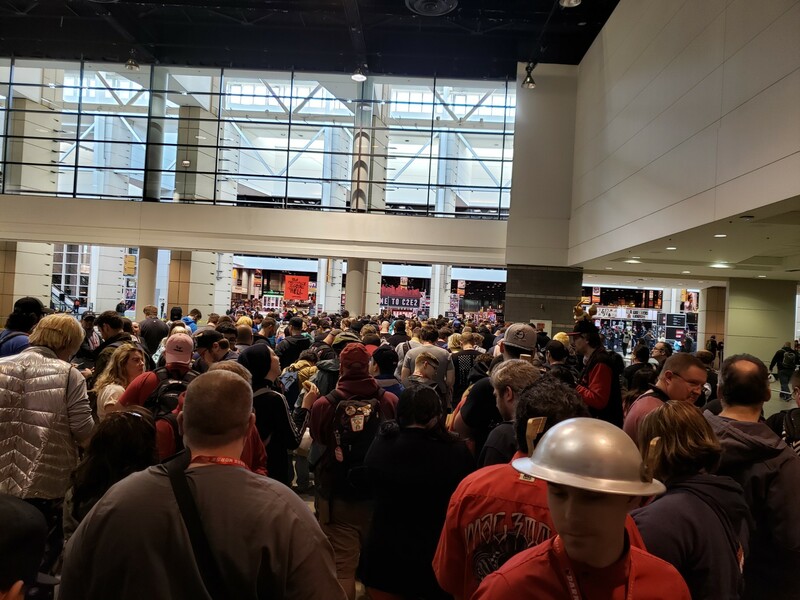 The upstanding folks at Celeb Photo Ops spoiled us at both Ace Comic Con Midwest and last December’s Louisville Supercon, where we could share our results online within minutes for the best kind of instant gratification. Meanwhile at C2E2, Epic Photo Ops wanted an extra $10 for their JPEGs. We settled for delayed gratification and sulkily waited till we got home Sunday afternoon to run our photos through our scanner the old-fashioned way like primitive chumps. Before and after Tennant, we tried crossing off more of our routine exhibit hall aisle march. Around noon we stopped for lunch, which was pretzels and cheese. That’s it. We’d had a hearty breakfast in preparation for the day, and figured we’d limit our lunch to a mere modicum of overpriced carbs because wow was I still bitter about those $14 pastrami scraps. 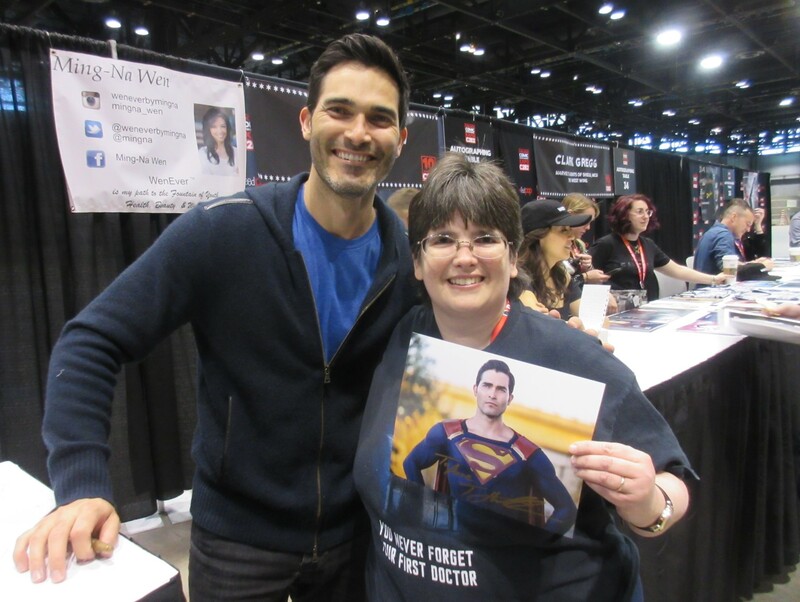 Around 12:30 we headed over to the autograph table of the young gentleman in our lead photo: Tyler Hoechlin, costar of MTV’s Teen Wolf, who — unbeknownst to me till this weekend — got his start as a child actor, who in fact costarred in the film adaptation of the graphic novel Road to Perdition. He played Tom Hanks’ older son, who was actually the main character in the book. Today Anne and I know him better as the guy who’s played Superman in a few episodes of The CW’s Supergirl. Actors who play live-action Superman rank very high on Anne’s meet-and-greet list. We then returned to the upstairs panel hallway and got turned away not once but twice. DC Comics’ official panel honoring Batman’s 80th anniversary was capped shortly before we reached the door. I’m not buying any Bat-books regularly at the moment anyway, but the invited panelists, which included comics legends Marv Wolfman and George Perez, would’ve been a treat to see on one stage, especially since Perez announced he’ll be retiring from both comics and conventions at the end of 2019. Running concurrently with the Bat-party was C2E2’s biggest event of the year: a Q&A billed as a cast reunion for the 1995 comedy Clueless. 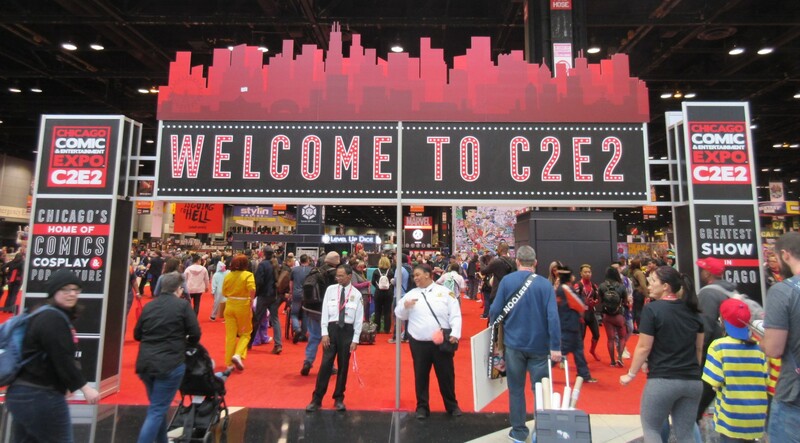 Appearing together live for the first time in decades were star Alicia Silverstone, now-A-lister Paul Rudd, Scrubs funnyman Donald Faison, and Breckin Meyer, whom we spotted briefly at last year’s C2E2 plugging his Crackle animated series SuperMansion. Judging by the major headlines on entertainment websites for the rest of the weekend, the Clueless reunion was officially deemed A Big Deal by newsmakers. In this case the panel was beyond merely capped. It was held in the largest auditorium in McCormick Place’s South Building, yet filled to capacity anyway. 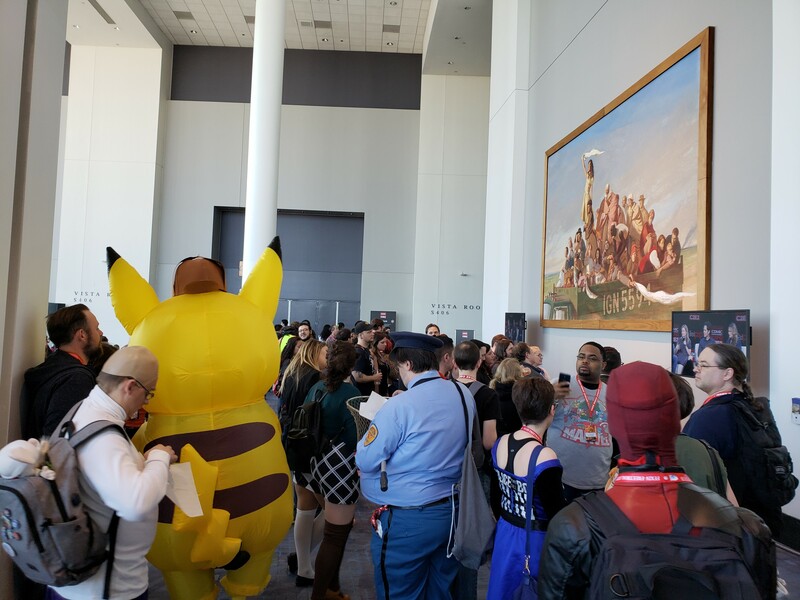 We approached its entrance and found dozens, maybe hundreds of fellow attendees sitting outside the Main Stage doors and watching the panel on TVs mounted around the foyer walls. To us it wasn’t the most ideal viewing space, on screens from a distance behind other people’s heads. We retreated to a pair of abandoned comfy chairs 100 feet away, and relaxed after our early long walks. We couldn’t see the TVs, but we didn’t care that much about Clueless. If you wanted to watch, this was your view. We’ll come back to Detective Pikachu here in a few minutes. Once we were back up to fighting strength, we steeled ourselves for our other Saturday appointment: our 2:20 photo op with the frequently delightful Paul Rudd. We shuffled toward the photo-op area through the increasingly denser crowds until we reached total, unyielding gridlock among dozens or possibly hundreds of other fans all converging around the same time. Most cons refuse to let anyone line up for photo ops until thirty minutes before their scheduled op. For those of us who’ve had bad experiences and want to make sure we don’t miss out (exhibit A: last August’s Wizard World Chicago fiasco), it’s a good idea to show up a bit early, mill around the entrance, and wait for your actor’s name to be called when it’s line-up time. Naturally, plenty of us had the same idea simultaneously. Net result: chaos. One timid con volunteer was equipped with a P.A., but was thoroughly inaudible and buried below dozen of decibels of crowd noise. Another, much younger volunteer without sound equipment stood still and did nothing but plaintively, uselessly shout “AMY JO JOHNSON!” every few minutes to any Power Rangers fans who might be within earshot, which appeared to be zero given the complete lack of response every single time. So we all stood and stood and stood, and stood some more, and failed to move forward. This, to be frank, is becoming a recurring issue at cons: the photo-op area runs smoothly in the morning, slides a bit behind as stars come and go late throughout the day, and by late afternoon everything’s turned into the running of the bulls at Pamplona if the bulls were packed too tightly to run, trample, or gore anyone, but you know they’re still savoring the thought. At one point a funny guy wandered into our midst, waiting for his own op with some wrestlers or whatever, and loudly asked the crowd who we were all waiting for. When no one answered at first — I think we as a hivemind were too intent on staring the volunteers to death — he poked fun at the lack of response. For a rare change of pace I thought, “Eh, why not,” and answered him back, using my own extra-loud setting that I extremely rarely wield in public. We proceeded to engage in top-volume, happy-shouty banter, no anger, and amused our neighbors for a moment. Because sometimes it’s good to have a distraction from stress. Less than five minutes after I directly @’ed C2E2’s official Twitter account and fifteen minutes before our appointed time, two more volunteers, looking much more official and confident and aware that something needed to be done differently immediately, took over the scene and began organizing hundreds of us into official Paul Rudd photo-op lines. It’s entirely possible they were already on their way before I tweeted at them with irritated concern, and that I did not, in fact, personally save the day. All I know is that, as a guy with thirty years in the customer service industry, I recognize when a company is doing a stupendously crappy job of it and needs a healthy slapping. Eventually we got our turn with Mr. Rudd, who looked a bit worn down but nonetheless game for whatever poses were foisted on him. Then we finished off our show-floor strolls once and for all, grabbed a few more books from Artists Alley, detoured for author Eve Ewing’s 3:00 autograph signing at Table 39 in the celebrity area (no mere Artists Alley space for her! ), and returned upstairs yet again for one final panel, on an baseless whim that happened because curiosity got the best of me. Titled “Marvel’s Next Big Thing”, Editor-in-Chief C.B. Cebulski presided over announcements regarding Marvel’s upcoming major projects for the next six months or so. I’d learned in advance this would include confirmation of the next assignment for acclaimed grandmaster Jonathan Hickman, who previously wrote Avengers and subsequently Fantastic Four in a manner that effectively turned his runs on those families of titles into a single, epic-length work with a beginning, middle, and end across several years of comics. So he’s kind of a big deal in the mainstream comics biz. I didn’t follow any of that for long, but I’ve enjoyed his work on his creator-owned titles such as The Manhattan Projects, The Nightly News, and the still-unfinished The Dying and the Dead. This time we were admitted to the panel before it was capped, though wound up toward the back of the room because we weren’t that early. I’m fine with my choice to meet Eve Ewing first. I wasn’t deeply invested in the proceedings anyway, simply scratching an itch. Cebulski kicked off the panel with a silly video in which various Marvel staffers and/or freelancers pretended to argue over the critical issue of which pizza is superior, New York or Chicago. (My opinion here is the same as my opinion on “Marvel or DC?”: I’ve found merit in both, and I’ve been disappointed by both.) Then Cebulski brought out his special guests — the aforementioned Hickman, along with writer Jason Aaron (Thor, Conan, Star Wars a while back) and artist Pepe Larraz (Star Wars: Kanan). Thus the announcements began, and I found myself increasingly disengaged as I realized they were mostly talking about X-Men books, which haven’t deeply mattered to me in ages, and which inevitably lead to crossovers, which are even more Not My Thing Anymore. We returned to the main show level, took one last round of cosplay photos, and considered ourselves officially done and satisfied. We left McCormick Place, we had an incident at a parking garage, and we headed home Sunday morning without further complications. Meanwhile online Saturday night, the good folks at Twitter Dot Com turned the Clueless reunion into a “Twitter Moment”. That’s a device that a Twitter curator will use to create “In Case You Missed It” news summaries by compiling tweets from various users and turning them into temporary threads of sorts for anyone and everyone to view at their leisure if they so choose. Instead of hiring journalists to write paragraphs, they effectively let users tell the story for them. This time, the benevolent curator chose one of my throwaway tweets to tell a specific part of the Clueless reunion story. 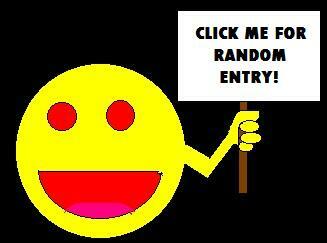 As with 99.9% of my tweets, I had expected it would sink into the Twitter morass and never matter to anyone ever. Thanks to the cast of Clueless and the magic of Twitter, my “Detective Pikachu, Clueless fan” tweet became the .1%. My notifications figuratively had my phone ringing off the hook the rest of Saturday night, all day Sunday, and for half the day Monday. The total viewer “impressions” garnered by that lone, frivolous tweet soon surpassed Midlife Crisis Crossover’s cumulative seven-year traffic history. At my present traffic levels it will take MCC years a good 3-5 years to catch up with that one tweet. This wasn’t merely My Most Popular Tweet of All Time. This tweet was, as far as I am aware, the Most Popular Thing I Have Ever Done in My Entire 46 Years of Living, Period. I mean, it’s cool that something I did amused such a large audience. But if I dwell on it for more than a few minutes, it also makes me want to stop writing paragraphs forever because why bother in this day and age. Why not line up with the Instagram “influencers” (hate loathe despise HATE that term) and limit my creative efforts to all pictures and no words, and really chase those “impressions” for validation. But y’know…we’re the Goldens. This is who we are and what we do. At the end of every con, the exciting gateway to adventure becomes the exit back to mediocre mundanity.